Two well-known universities are discreetly reporting mumps virus outbreaks. 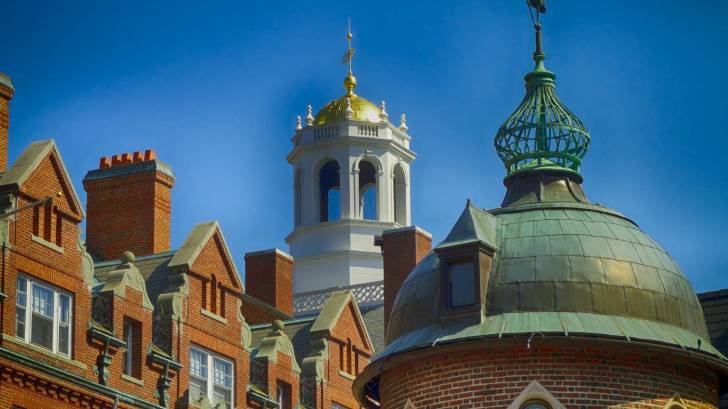 On November 7, 2018, Paul J. Barreira, MD, director of Harvard University Health Services, confirmed “recent cases of mumps and infectious mononucleosis on campus this semester” in an email to college students, reported Alexandra A. Chaidez, a staff writer for The Crimson. This is not the first mumps outbreak at Harvard University in 2018. Previous mumps cases were disclosed by The Crismon during February 2018. Dr. Barreira said students should take several precautions ahead of the annual Harvard Vs. Yale football game, scheduled for November 17th. Across the ‘pond’ in Oxford, England, students at University College were advised to “take precautions” to stop the spread of a mumps outbreak, reported Cherwell on October 26, 2018. In an email sent to all University College students, Disability and Welfare Administrator, Aimee Rhead, said “that those who were experiencing symptoms should ‘stay in his or her room, and contact the College Nurse,’” reported Cherwell. Previously, on May 26, 2017, dozens of students were affected by mumps across Oxford University, including major outbreaks at Exeter, Corpus Christi, and St Anne’s. Mumps outbreaks can occur in highly vaccinated communities, particularly in close-contact settings, such as schools, colleges, and camps, says the Centers for Disease Control and Prevention (CDC). Mumps is a contagious disease caused by a virus and is transmitted from an infected person through coughing and sneezing. The time from being infected with the virus to developing symptoms can be as long as 25 days but is typically within 16-18 days of exposure. Throughout 2018, various colleges in the USA have reported mumps cases, such as Cincinnati, Emory, James Madison University, Michigan, Northern Colorado, Northeastern University, Oklahoma University, Penn State, TCU, Texas State and Western Illinois University. Before the U.S. mumps vaccination program started in 1967, about 186,000 cases were reported each year. From January 1 to October 6, 2018, 47 states have reported 1,885 mumps infections to CDC. While vaccination against mumps is the best protection against mumps infection, a small percentage of vaccinated individuals may still become infected. In the USA, the mumps vaccine is administered in combination with the measles and rubella vaccines (MMR) in a two-dose series, which is 88 percent effective at protecting against mumps, while 1 dose is 78 percent effective, says the CDC. A study from the Harvard T.H. Chan School of Public Health found that vaccine-derived immune protection against mumps persists an average for about 27 years, after the last dose. These Harvard researchers estimated that 25 percent of people vaccinated against mumps may lose protection within 7.9 years, 50 percent within 19 years, and 75 percent within 38 years. Which means, in addition to the currently recommended 2 doses early in life, a 3rd booster shot may help sustain immunization among adults, says the CDC. Both the MMR and ProQuad vaccines contain the protection against mumps. Most pharmacies in the USA offer mumps vaccination services.